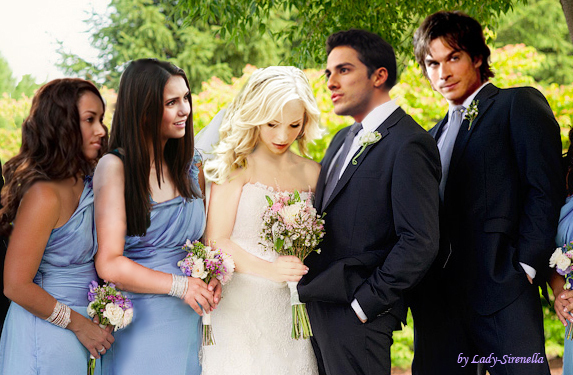 wedding दिन of Caroline and Tyler. . Wallpaper and background images in the द वैंपायर डायरीज टीवी शो club tagged: the vampire diaries ian somerhalder nina dobrev elena gilbert caroline forbes tyler lockwood bonnie bennett alaric satzman. This द वैंपायर डायरीज टीवी शो fan art contains वर, सम्मान की नौकरानी, दासी की दासी, and सम्मान की नौकरानी के.